The average global download speeds are up to 40 Mbps on broadband and 20 Mbps on mobile. Global Internet speeds have grown an astonishing rate this year with a more than a 30 per cent increase in both wired and mobile connection speeds compared to last year according to new data. 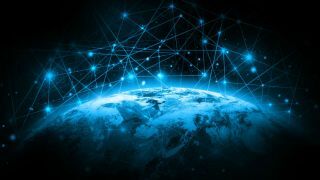 The Internet speed-test company, Ookla utilised data collected from its Speedtest Global Index to reveal which countries have the fastest broadband and mobile speeds as well as which countries networks have seen the most improvements over the past year. The average global download speed is now 40 Mbps while on a broadband connection and 20 Mbps while connected to a mobile network. This year's increased growth was driven by a number of network improvements across a wide range of countries including Norway, Australia and India. India was most improved of the world's largest countries with a 77 per cent increase in its broadband speeds though with an average broadband speed of 18.2 Mpbs it still ranks 76th of the 133 countries included in Ookla's index. In terms of the fastest broadband download speeds, Singapore was ranked first followed by Iceland, Hong Kong, South Korea and Romania in the top five spots. Norway, the Netherlands, Iceland, Singapore and Malta took the top spots for mobile download speeds. The UK and US ranked 44th and 45th respectively in terms of broadband download speeds with the UK being ranked 26th on the mobile download speed index and the US claiming the 12th position. High speed Internet access is quickly becoming a necessity across a number of industries and hopefully 2018 will yield equal or greater network improvements across the board.